← Unknown Device–Find a driver? 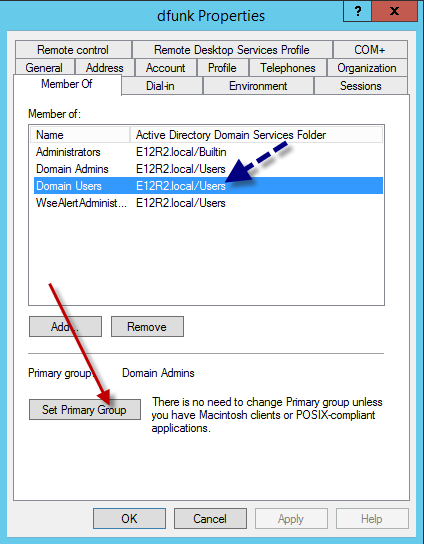 Windows Server 2012 R2 Essentials –You do not have permission to open the dashboard. A question came up in the Essentials Forum recently which prompted me to build quite a large lab, and not even manage to repro the issue. The issue affects both the Essentials Role and the SKU., but it does not appear to affect R1. The symptoms were, that a user of the Domain Admins was unable to open the Dashboard, being greeted instead with this error..
Having checked the relevant group memberships and that sort of thing, we were all a little puzzled. The solution it turns out, is very simple. It is based on the users Primary Group Membership. If the Primary Group of your administrator is set to ‘Domain Admins’ then the dashboard will fail to open with the error above. It is a curious error, and i’m interested to know how common it is to have changed the primary group of an administrator account. However simply changing it back to the default ‘Domain Users’ is enough to solve the problem. 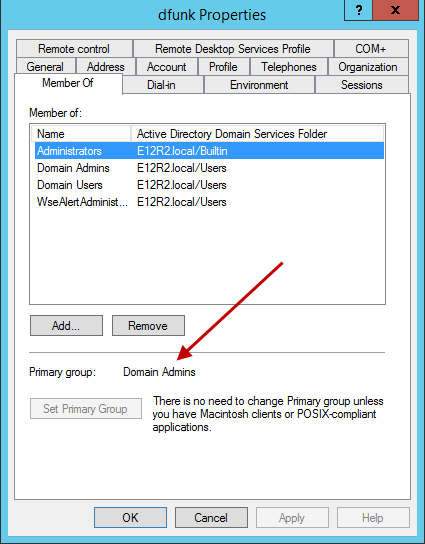 Simply click on ‘Domain Users’ and then click the ‘Set Primary Group’ button. Thanks to rowebil for posting the solution. 5 Responses to Windows Server 2012 R2 Essentials –You do not have permission to open the dashboard. i had done 5 formats, and last one is a backup restore. there is no solution to this and it makes no sense. it’s very unfortunate that something so simple and stupid exists in such a great product from microsoft. and as you can see many and many and many others have the same unresolved issue. I do not see anyone on that thread with an unresolved issue, or anything about a ‘reset’. I am not sure what your issues is currently. Can I suggest you open a thread on the forum which will provide better visibility and assistance. Have you run the Essentials Tester?